Kilroy was our Englishman. He was a naturalized American having been born in England and immigrated when he was eight weeks old. 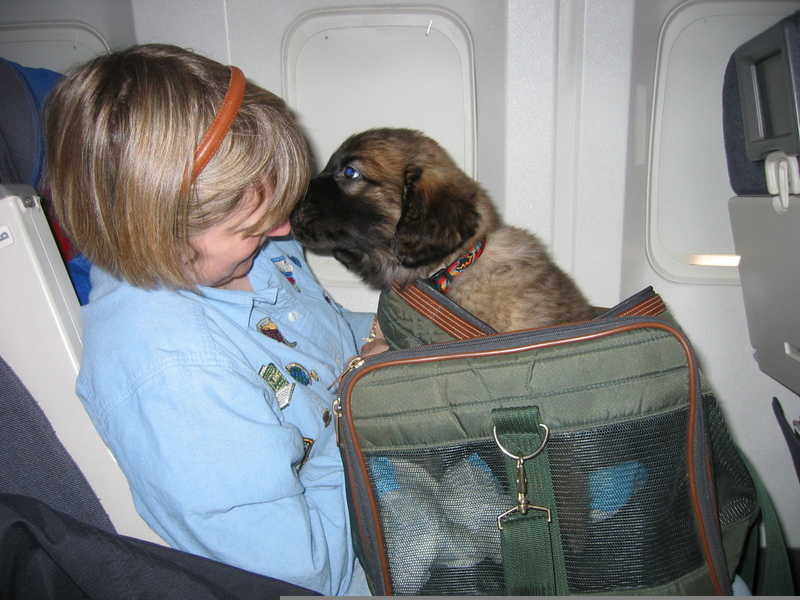 He charmed the staff on United Airlines when he poked his head out of the Sherpa Bag to nibble ice chips during his journey. 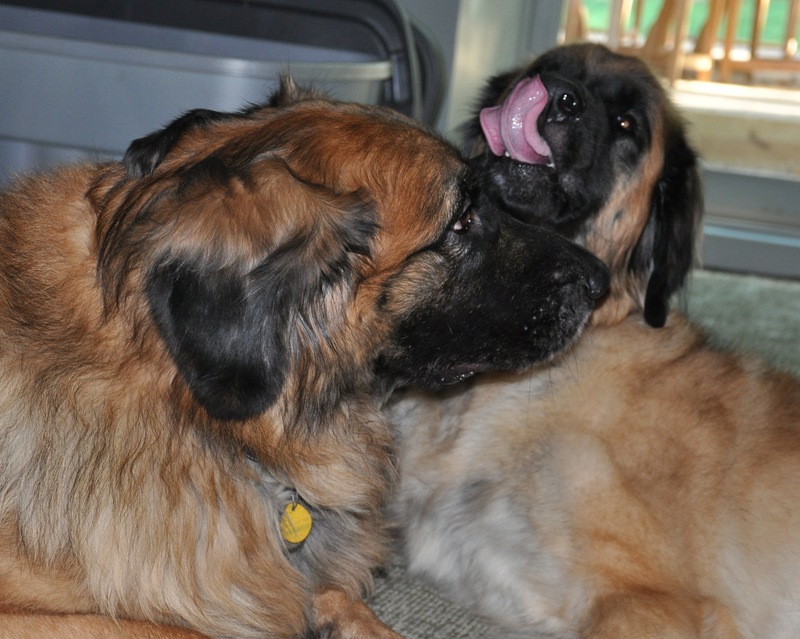 Kilroy was a sweet and gentle Leonberger. He enjoyed his naps on the sofa and grumbled a bit when we caught him there. He would just relocate to the front entry where he propped his big head on the first stair leading up. When Kilroy was very contented or his ears were being scratched, he would purr like a great big cat. This sounded like utter bliss. Kilroy had one odd habit. He enjoyed having things in his mouth. He may just settle in for a few hours of joining us as we watched a hockey game and wrapped his big maw around a convenient hand or arm. He did not bite or gnaw when he did this! Jennifer awoke to find his mouth around her neck; just him gently making contact with his family. 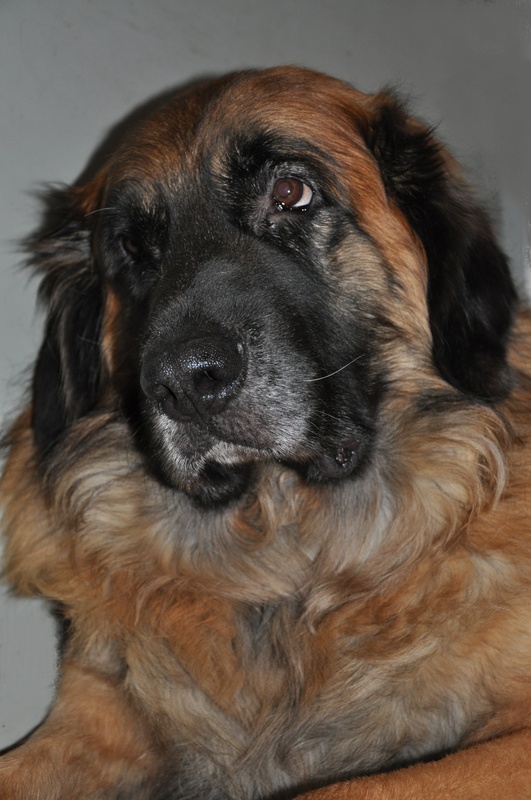 Kilroy had a severe case of inherited Leonberger Polyneuropathy which manifested with a loss of control of the rear legs and breathing difficulties. Initially the breathing issues were not severe but they progressed rapidly as he neared 6 years old. 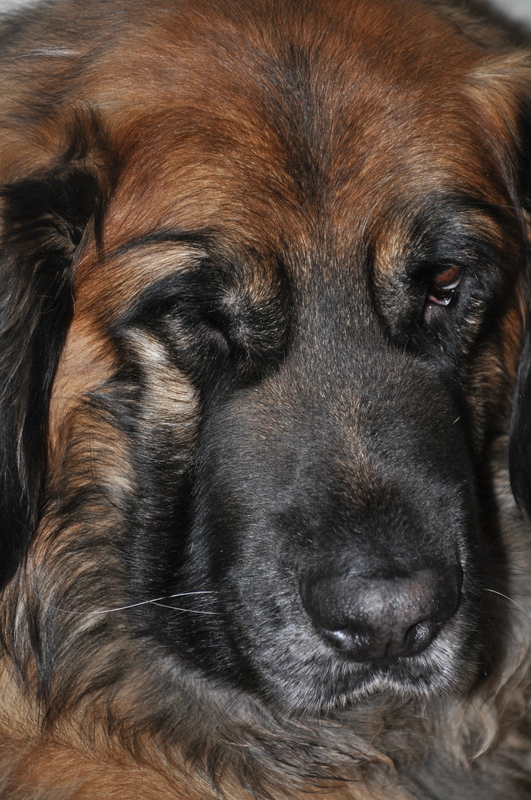 He developed several severe respiratory issues and eventually aspiration pneumonia. Sadly, the problems became so severe that he was unable to go on and he died in December 2010. Kilroy was David’s close friend and companion. Kilroy was usually within close proximity to David and slept just next to him where he often rested his head on the side of the bed. Kilroy enjoyed snow and short romps in the yard with Boudicca. We will miss the big guy. To see Kilroy’s pedigree click here. To learn more about Polyneuropathy, click here.